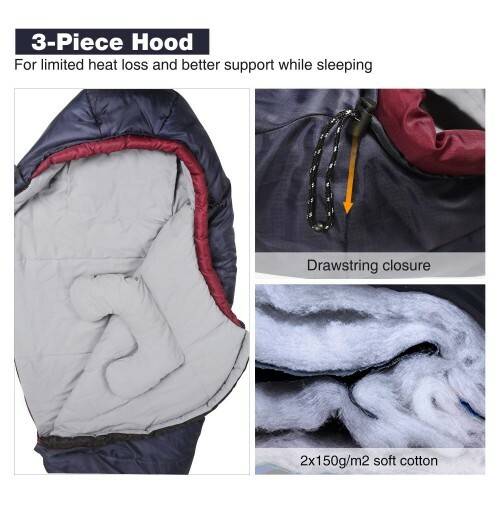 MATERIAL: The hammock sleeping bag for camping is made out of polyester ripstop (shell), polyester pongee (lining) and soft cotton (filling) for a long durability. 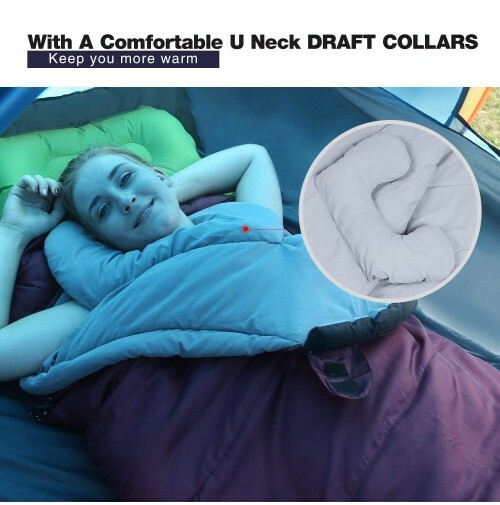 ✔2 IN 1 UNIQUE DESIGN:It be used as regular mummy outdoor camping hammack quilt or perfectly matching hammock. Recure not falling off the hammock during your outdoor sleeping time. NOTE: The hammock is not included. ✔EXTRA WARMTH: The soft cotton filling ensures you to keep you warm for temperatures between 41°F/5°C, 68°F/20°C and is designed for spring, autumn. 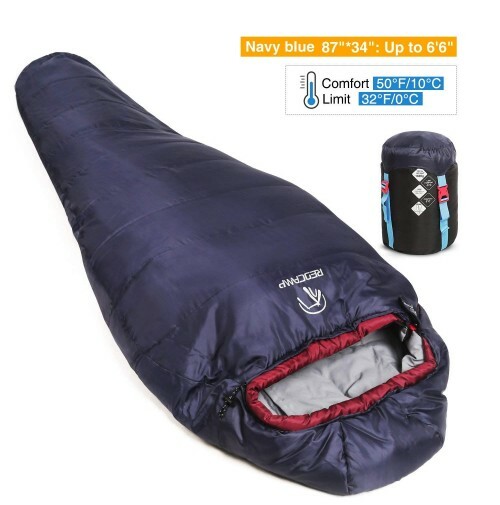 ✔PORTABLE: Sleeping bag are perfect for people who are between 5.5- 6.6 feet (165cm-200cm) tall. Package Size: 8.6''x6''. Weight: 3.5LBS. 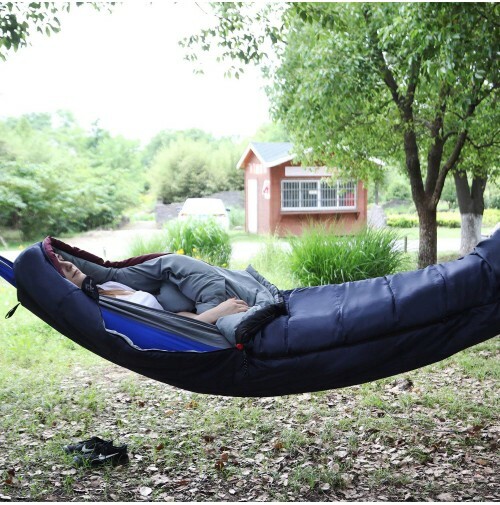 This hammock underquilt is easy to carry wherever you go. ✔MORE CONVENIENT: Inside the sleeping bags we provided an internal neck pillow, a place to put your own pillow inside, an internal pocket to storage some of your personal belongings and a free compression bag. ✔GET THIS LIGHT WEIGHTED MUMMY SLEEPING BAG RISK FREE: Your 100% satisfaction has always been our top priority. That is why all of our products are backed by our unconditional 365-day manufacturer warranty.